As a photographer and tech lover, I tend to gravitate towards the best of the best when it comes to the technology products I own, which is why I found myself on the quest to find the best Micro SD card out there. I want reliability, speed, and something that will let me push my equipment to its limits. I use my phone mostly for taking photos and videos of my adventures. Having a MicroSD card that can meet my demands and have enough storage for my 1-2 week travels of photo and video taking all day long is crucial. I currently test and use these cards for real world use on a Samsung Galaxy S9 and GoPro Hero 6. This is my quest to find the ultimate Micro SD card. Last Updated: April 6, 2019. What Are The Differences Between SD, SDHC, SDXC, and SDUC? UHS, UHS-I, U1, UHS-III, and U3 are all buzzwords and jargon to look for on the packaging. The UHS signifies the speeds up to – up to being the operative phrase. This is important if you’re shooting HD or 4k video. Faster write speeds are needed in order to produce high quality video. Even if you’re not shooting video, but running apps or games off your Micro SD card, a fast write speed will keep things running smoothly. A lot of cards are advertised as UHS1 / U1 and support 4k, but this simply is not true. Manufacturers claim 10MB/s write speed is sufficient, but it isn’t! You’re going to start running into overheating problems and video that stops recording before you’re done. I’ve even encountered dropped frames in video I was hoping to be spectacular. You’ve probably seen UHS-I and Class 10 on just about every Micro SD card you’ve checked out already. The SD association has come out with speed classes relevant towards video, too. SDXC memory cards must only be used with SDXC devices. SDXC devices can use SD, SDHC and SDXC memory cards. SDHC memory cards can be used with SDHC and SDXC devices. SDHC devices can use both SD and SDHC memory cards. SD devices can only use SD memory cards. SDXC devices are backwards compatible, so they accept SD and SDHC memory cards. SDXC memory cards must only be used with SDXC devices and should never be used in non-compatible devices. For my own uses, I’ve found UHS-III / U3 and V30, V60, and V90 to be ideal for recording 4k video from my phone. 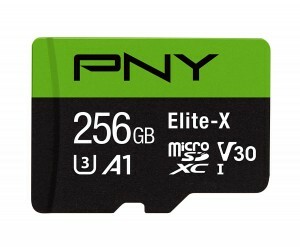 Below are the fastest 128GB and 200GB micro SD cards. Anything else simply hasn’t made the cut for size, speed, and reliability. There are really only 6 brands you should consider when shopping for a Micro SD card. There are faster cards out there, but I like to consider reliability as an important factor. I don’t want a card to become corrupt with a vacation full of video and photos. All in all, Delkin is my go-to Micro SD card brand. They have performed incredibly well across a multitude of scenarios and devices. Delkin – Micro SD cards support up to 8k, includes amazing customer service , lifetime warranty [with a 48 hour replacement policy], and all their products are incredibly fast. Lexar – I’ve used this one over the years and have never had a failure. Nikon also recommends this brand for their cameras. Samsung – One of original favorites, based on speed and price. SanDisk – Nikon recommends this brand for their cameras. Sony – This is a brand I’d purchase when on sale, otherwise I’d choose another brand first. Transcend – Great budget options for the price. As of now, there are currently no 2TB Micro SD cards on the market. However, when they are available, they will be in the SDXC and SDUC specification standards, as both of these support higher capacity sizes. SanDisk has three 1TB Micro SD cards announced, with only one currently available for purchase. Unfortunately, quantities are limited, so if you see it available, you’re going to want to buy it quickly. SanDisk Extreme Pro MICROSDXC UHS-I Micro SD. – Not yet available. Up to 170MB/s read speed and writes up to 90MB/s. Speed classes C10, U3, A2, V30. SanDisk Extreme Plus MICROSDXC UHS-I Micro SD. – Not yet available. Up to 170MB/s read speed and writes up to 90MB/s. Speed classes C10, U3 , A2 , V30. Up to 90MB/s read speed and writes up to 60MB/s. Speed classes C10, V30, U3 , A2. Starting the second half of 2019, the Micron 1TB Micro SD will be available to purchase. Micron® c200 1TB microSDXC UHS-I card – Not yet available. Up to 100MB/s read speed and writes up to 95MB/. Speed Classes V30, U3, A2. Micron 96-layer 3D QLC NAND. The largest Micro SD cards readily available, a whopping 512GB, are rapidly dropping in price with the advent of new 1TB Micro SD cards. Up to 100MB/s read speed and write up to 90MB/s. Speed Classes 10 and U3. CrystalDiskMark Sequential Transfers – Read: 92.72MB/s. Write: 81.83MB/s. CrystalDiskMark 4KiB Transfers – Read: 16.25MB/s. Write 4.02MB/s. Speed Classes 10, U3, V30, A2. CrystalDiskMark Sequential Transfers: Read 96.39MB/s. Write 84.33MB/s. Up to 100MB/s read speed and write up to 70MB/s. Speed Classes 10, A2, U3, V30. Waterproof, shock and vibration proof, x-ray proof, and temperature proof. Class 10 UHS-1. Data Transfer: Read Speed 100 MB/s Maximum. Write Speed 10 MB/s Minimum. Up to 100MB/s transfer speed. Same cards, different branded name based on where you buy. Up to 100MB/s & 90MB/s read & write speeds respectively; Class 10 UHS-1. Certified waterproof with IEC 60529 and IPX7 rating. Shockproof, temperature extremes, waterproof, x-ray proof. The Lexar 200GB is my all time MicroSD card favorite at this size. For the price, speed, and reliability, this was one of the easiest purchases of my tech life. I happily recommend this card to anyone who has similar demands as my own. We have a clear winner out of the best MicroSD cards. The Lexar 1800x is incredibly faster than the runner up, Samsung’s Evo Plus. The Lexar MicroSD card is geared for the uber professional and priced accordingly. If you are shooting a ton of 4k video, this is the card for you. Your phone should handle recording like a champ without hitting buffer limitations. Samsung, a distant second, is a great choice if you’re recording 4k in short bursts and need a more economically priced option. The best MicroSD card you can use with your Android phone is going to be the highest capacity, especially cards which support A1. A1 means you can put apps on your card and it will run incredibly fast. This is especially useful if you play games on your phone. Look up your phone specs which you are using, see the max capacity MicroSD card available, and then start going down my list above, starting with the highest. Most flagship phones as of writing this paragraph in 2018 will support 200GB size cards. The latest GoPro Hero 7 Black comes with a free MicroSD card, but you might want some more for extra recording storage. With the ability to record 4k video and RAW, having a fast MicroSD card is going to make a world of difference, especially now that the new GoPro Hero 7 Black can support UHS-III. Your card will fill up fast! If you are flying a DJI Mavic 2 Pro or similar drone, documentation recommends: UHS-I Speed Grade 3 rating microSD card is required due to the fast read and write speeds necessary for high-resolution video data. Card sizes officially supported by the Mavic 2 Pro are 32GB, 64GB, and 128GB. I’m still gathering info on v90 and v60 certified MicroSD cards. Some manufacturers have claimed equivalent speeds, but have not received an official certification, so I won’t list them until that happens. If you’re looking for the fastest Micro SD cards, regardless of size, this is the chart for you. These are all Micro SD cards I have personally tested on my Samsung Galaxy S9 in real world conditions and everyday use. Format your new Micro SD card as soon as you plug it into the device. Always perform future formats in the device, whether phone or camera. Format when putting your Micro SD card into new devices. If you’ve ever had a corrupted Micro SD card, you know how devastating it is to lose all of your data. The absolute best way to ensure your MicroSD cards stay healthy is to only use the device, whether phone or camera, to delete files off the card. NEVER use your computer. The same goes for formatting. Always use your phone or camera to perform the format function. Using your computer to delete or format data off your Micro SD card greatly increases the chances of the card becoming corrupted over time. Just be sure you want to format, as it is not reversible. I use Dropbox to easily and quickly move files back and forth from my phone to computer. Whether Android or iPhone, this has always seemed to be the easiest method. Dropbox will automatically upload new photos from my phone while on WiFi, then download them to my computer immediately. Every now and then, or immediately upon returning from a vacation, I’ll hop on my computer and move the photos out of the Dropbox folder and into my Photos folder. Its a couple steps to get used to, but if you’ve tried saving photos off your phone, you know a couple steps is a lot easier than constantly pulling out hair, losing photos, or having to delete photos to make more room on your phone. As of June 2017 Lexar stopped making memory cards. Samsung EVO + and EVO Select are the same card. i want purchase one UHS-ii memory card for my S8+ . whether S8+ support UHS-ii memories? This blog is very informative,just asking how to do i know if the sd card is V90 coz im searching for it but nothing write if its V90..currently im using 16gb.sandisk extreme U3 micro sd for my Gopro Hero+. You are very welcome, Adeola! Thank you for the very informative and helpful post! Oh, I wish I saw this article sooner! I was just buying a new microSD card and here’s some great information about them. Super in-depht post 🙂 thank you for sharing your knowledge! Thanks a lot! I keep the article updated for the latest MicroSD cards, so next time you need one, check back! Thanks so much for the chart! I was actually just shopping around and this will totally help! Sweet! Ecstatic to have such impeccable timing in your shopping process! I had to buy a MicroSD for my GoPro, and wasn’t sure what I should get. Thanks for this post! It gave me exactly the information that I needed! Howard, glad you were able to figure out the perfect MicroSD card for your GoPro! Nice blog. Very good detailed info. Very helpful as well. Glad the info helped you! The SD Association Spec helps explain. Brandon, you are absolutely correct. I fixed the misinformation and updated with some of the new video speed classes for MicroSd cards. Thanks for pointing that out! And I’m with you on V60 and V90. Pretty stoked to throw those into my phone for 4k recordings. The fast reading is great for apps too. There are currently no phones (nor tablets either, I think) that have UHS-II nor UHS-III sockets (which have an extra row of contact pins) and very few of any sort of device that have those sockets for micro-sd cards. UHS-II micro-sd cards are compatible with micro-sdxc sockets. I don’t think there are any UHS-III micro-sd cards as yet. So before paying extra for a Lexar UHS-II card, make sure you will get use out of the UHS-II. The speeds of the card, without a UHS-II socket, will be much lower. Lexar usually only manage around 40MB/second for writing for their top-of-the-line UHS-I micro-sd cards, slower than many other UHS-I devices for writing, but are faster for their read speeds. Colin, that’s a really good point. I’m going to have start looking into the latest phones to see what can take advantage of UHS II and UHS III. 4k and VR keeps on gaining momentum and these are important things to consider when buying phones and MicroSD cards. No sense in buying a $150 card if its speeds won’t be used. There is no UHS-III bus interface, only UHS-I and UHS-II. The important thing with SD Cards is the UHS Speed Class, designated as U1 or U3. Soon everything will be stamped with Video Speed Class (V6 V10 V30 V60 V90) and we can be rid of this confusing UHS name. I am just looking at buying more SD cards and I was trying to find information on which are the best. We got some that didn’t meet our needs for my sons’ Go-Pro cameras. I pinned this so I can refer to it. Thanks! Awesome! The Gopros will certainly benefit from the speed. This is a really helpful post. Thanks so much! Learning the breakdown of difference between MicroSD cards is just the information I was looking for. I appreciate your informative, detailed, and accessible blog. Thanks! Glad to hear you learned something! I really appreciate that you’ve stopped to help those of us (like me) who really needed a great breakdown of the differences between MicroSD Cards. You put techie info into language we can all understand and use. Thank you so much for this great explanation. I’ll be sharing this page with my hubby because he’ll absolutely love all this wonderful information too! Awesome! I hope your hubby finds this useful and insightful!